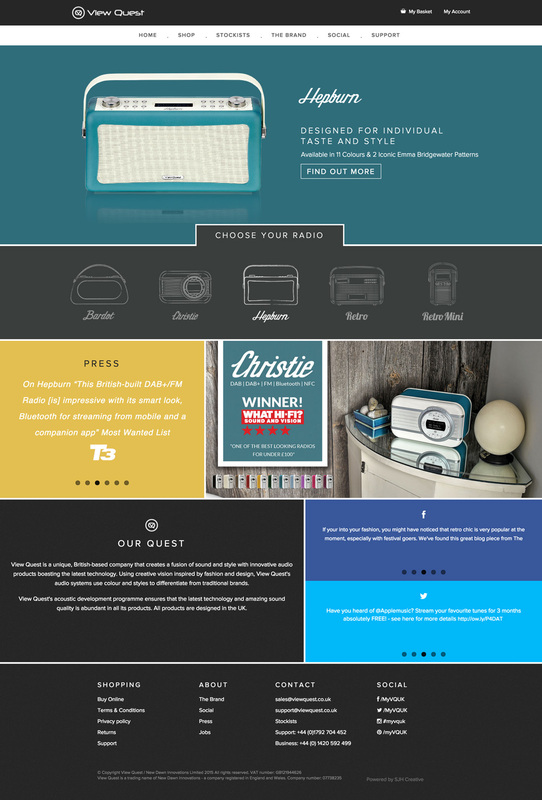 View Quest is a unique, British-based company that creates a fusion of sound and style with innovative audio products boasting the latest technology. 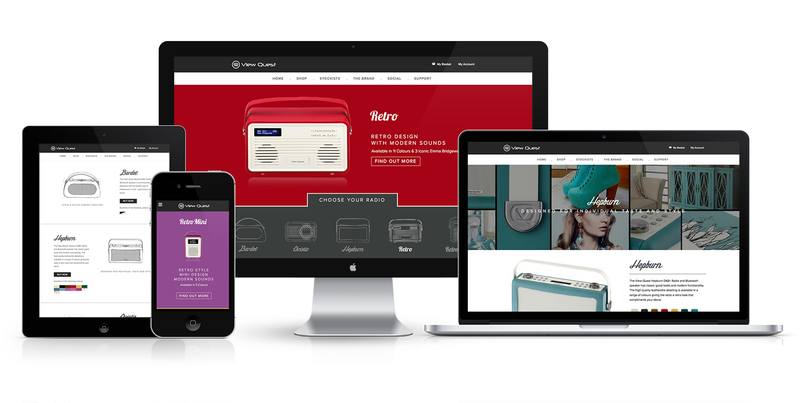 We assisted View Quest with the rebranding and redevelopment of their website as well as designing their entire range of packaging and product brochures. We continue to work closely with View Quest creating various printed material and continually adding features to the website. 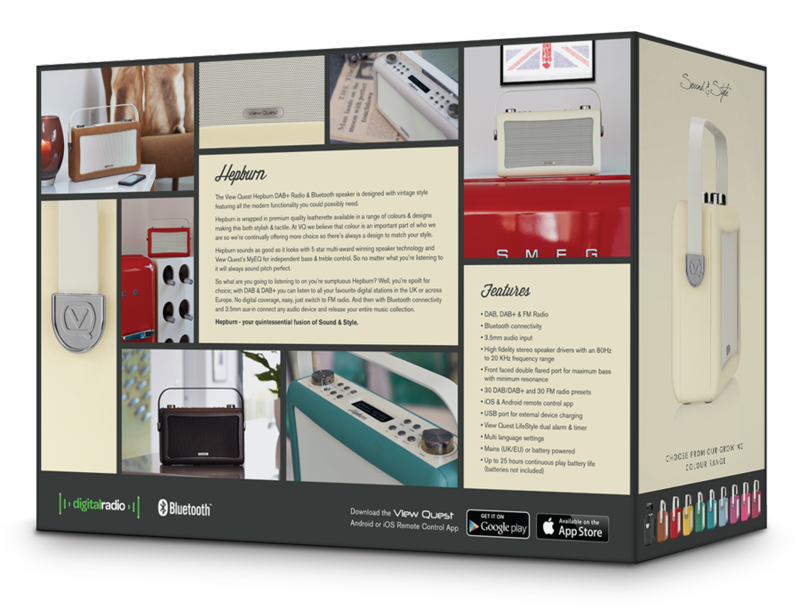 The Hepburn is available in 11 colours, in order to keep production costs down we designed one generic box and then post production a real leather swatch that reflected the colour of the radio was added.